Saturday Night Service Time Change to 5 p.m.
MARK YOUR CALENDARS! 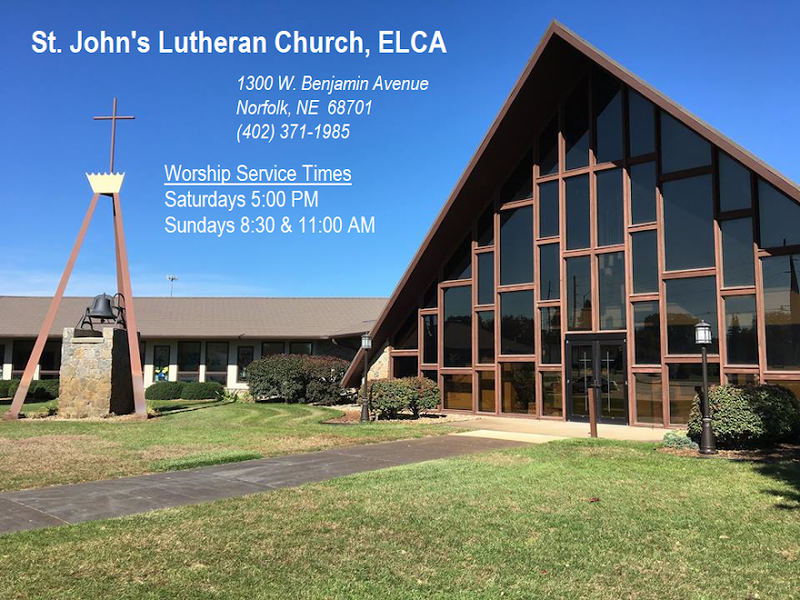 Beginning July 4, St. John's Saturday night worship service will make a permanent move to 5 P.M.
See you every Saturday at 5 P.M.! Thanks for contributing, buying, helping, and all that stuff for the Bright Horizons Garage Sale at St. John's the next few days! St. John's Swim Party Today! As a reward for all of their great work on raising funds for the ELCA World Hunger Walk for Water Campaign, St John's Youth are invited to come on out for FREE SWIMMING at Norfolk's Aquaventure Water Park! St John's Adults are welcome to come, too! Adults just have to pay half price to get in! Hope to see you there! Looks like it'll be a great day for swimming!